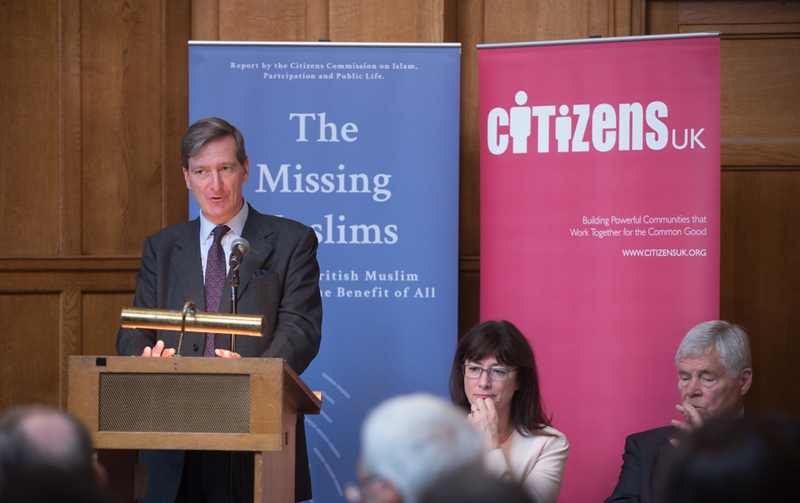 This report is the culmination of the Citizens UK Commission on Islam, Participation and Public Life. Led by an independent group of Commissioners, and chaired by the Rt Hon Dominic Grieve MP QC, the Commission was set up to examine the ways in which the participation of Muslims in the public and community life of our country, outside of their own faith groups, might be improved. Over 18 months the Commissioners, comprising of high profile names from the world of business, academia, politics and faith travelled to hearings across the UK to listen to more than 500 hours of testimonies and evidence detailing the experiences of Muslim and non-Muslim individuals. The report, published in July 2017, proposes a series of recommendations, primarily to be actioned by community and faith institutions themselves, as well as a call on business to play its part, and some key areas for action by the Government. 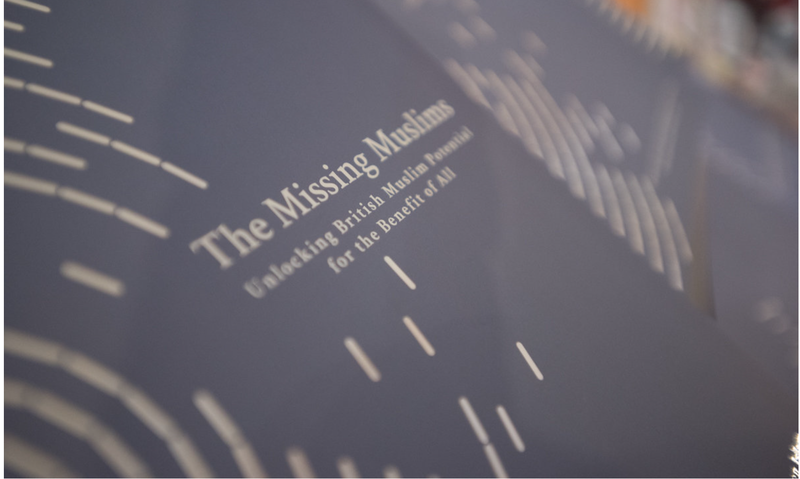 The report highlights how there are many factors at play as to why Muslim individuals may be distancing themselves from public life and recognises that unlocking a fuller Muslim presence in and contribution to British public life could help to reduce perceptions of increasing polarisation within British society. 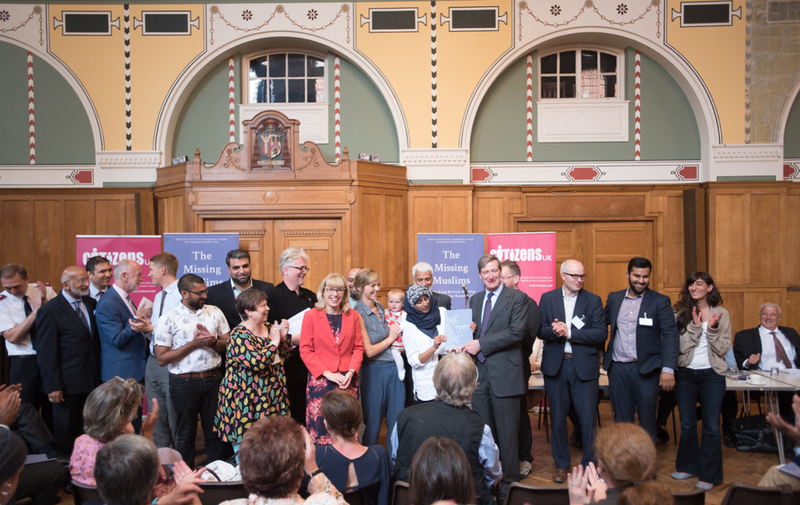 Actions that enable the current generation of British Muslim citizens to develop confidence in their equal standing should, in turn, reduce fears around British Muslim integration and enable the wider society to reap the benefits of more active involvement by Muslim fellow citizens. Recommendations ask business to play its part, with a call for name blind application forms and unconscious bias training to be voluntarily introduced as best practice recruitment standards, as well as encouraging staff to volunteer their expertise within and for Muslim institutions, and acting as role models and mentors for young Muslim people. Civil society including faith institutions should share their experience through twinning schemes and support mosques and Islamic centres to improve their governance and access for women and young people. Government must also play its part, recognising anti-Muslim prejudice and independently reviewing the Prevent Strategy. The full report and its recommendations of this project, shortlisted for the 2017 Research Champion, can be found here. Filed under Academic work with community impact.